Aluminum Railing Leader is honored at 13th Annual Davey Awards competition. Regal ideas marketing and turn-key merchandising solutions, were one of over 4000 entries in six categories that were considered for the 13th Annual Davey Awards, which is overseen by the Academy of Interactive and Visual Arts (AIVA). “As a company that delivers innovation and pushes the envelope to deliver great products and great customer service, the Davey award is especially meaningful to us because it recognizes our company’s 30-year plus passion for innovation and brand excellence” states Ernie Couillard, Executive Vice President for Regal ideas Inc.
Regal ideas has taken a big leap onto the Social Media platforms this year, which included a new website and video series. Regal ideas “go-to-market strategies” and award winning in-store “turn-key” merchandising, complimented with exceptional customer support, are the three areas that were recognized by the AIVA and earned Regal ideas their first Davey award. The Davey Awards is an international creative award focused exclusively on honoring outstanding creative work from agencies worldwide. 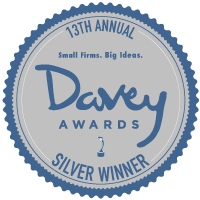 The 13th Annual Davey Awards received nearly 4,000 entries from ad agencies, interactive agencies, production firms, in-house creative professionals, graphic designers, design firms and public relations firms. David defeated the mighty Goliath with a big idea and a little rock. The Davey Awards honors the achievement of the “Creative David’s” where strength comes from ideas, intelligence and out -of-the-box thinking, not a “Giant’s” bankroll. Great work is about fresh ideas and exceptional execution, not the biggest budgets. 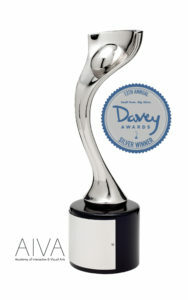 The Davey Award is judged and overseen by the Academy of Interactive and Visual Arts (AIVA). The AIVA is an invitation-only member-based organization of leading professionals from various disciplines of the visual arts dedicated to embracing progress and the evolving nature of traditional and interactive media. Current membership represents a “Who’s Who” of acclaimed media, advertising, and marketing firms including: Code and Theory, Condé Nast, Disney, GE, Keller Crescent, Microsoft, Monster.com, MTV, Push., Publicis, Sesame Workshops, The Marketing Store, Worktank and Yahoo!, and many others. Visit www.aiva.org for more information.